Anjirang Station (Daegu Subway Line 1), Exit 3. - Take Bus No. 410 and get off at Apsan Park (앞산공원) Bus Stop. From Daegu Station or Dongdaegu Station, take Bus No. 300, 410, 410-1, 750, Dalseo 4, or Dalseo 4-1 to Apsan Park Bus Stop. 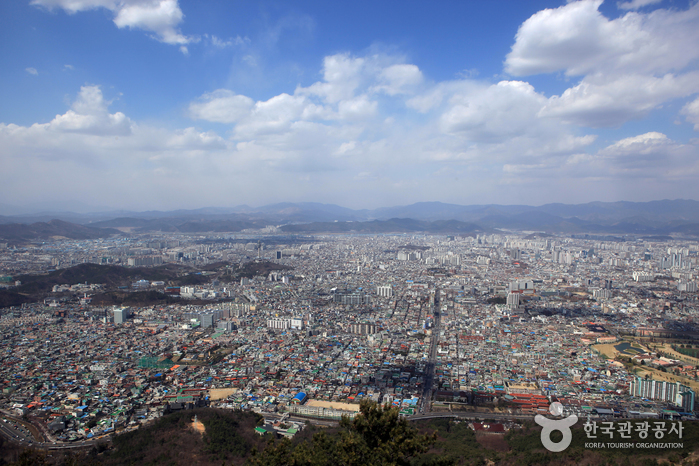 Situated in Nam-gu, Daegu, Apsan Observatory is a viewing point overlooking the downtown Daegu at a glance. The structure blends well with the history , the future, and the nature of the city. 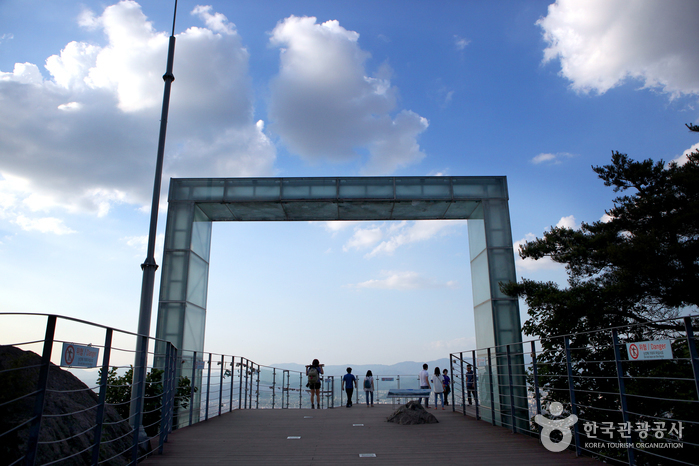 Many tourists as well as Daegu residents come to the observatory as it is also an educational place to teach the meaning of Daegu to the citizens. 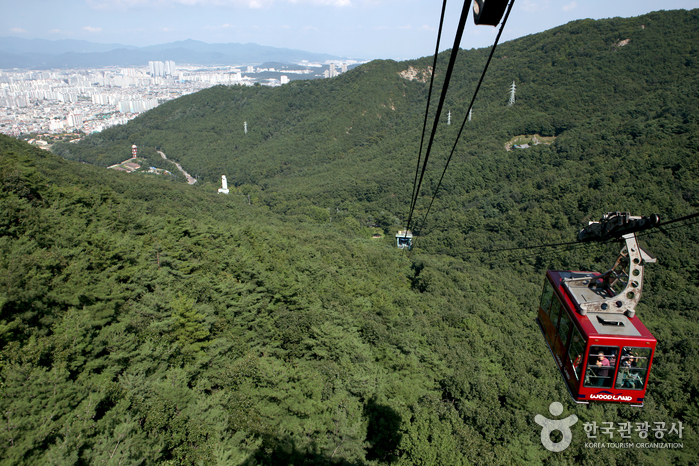 There are two ways to ascend to the observatory; one is by cable car from Keungol (15 minutes) and the other one is by walking (1 hour).